Costa Rica is known for its splendid natural beauty. This Central American jewel has a thriving culture that you won't find in guidebooks or any maps; it can only be found through experience. Let The Real Deal Tours open the door to explore the "Tico" culture with one of our Arenal Sightseeing and Cultural Tours. A community-based culture tour offers you the opportunity to do just that; Sightseeing tours "Tico Style". You'll experience, first hand, the way Costa Ricans live and how they work to preserve their environment. 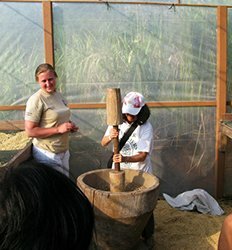 Community-based rural tourism is run by community based associations. These communities own private ecological reserves or are near areas of ecological and cultural interest. All of our Arenal Sightseeing and Cultural tours offer visitors a mix of cultural and environmental adventures. You'll have the opportunity to discover the real Costa Rica by exploring secluded trails and meeting the people involved in the conservation at a grass root level. Book one of our Arenal Sightseeing and Cultural tours below and get ready to immerse yourself in Costa Rica's unique culture. On our Costa Rica Coffee Tour in Arenal, we'll follow the life cycle of a coffee bean, from growing on the coffee bush out in the fields, to its final destination: your coffee cup! Our Costa Rica Coffee Tour is a chance to get up close and personal with your favorite morning beverage! 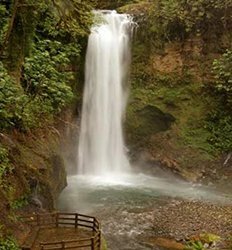 Costa Rica Coffee Tour deposit is $20.00 per Adult and $15.00 per Child. The Maleku is the smallest of seven indigenous tribes in Costa Rica, and they have graciously opened their world to us for an exclusive peek! Visit with the Maleku families, hear their stories and legends and learn all about the medicinal plants used by the Maleku Tribe. 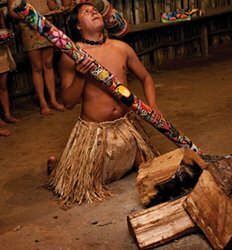 Maleku Indigenous Cultural Tour deposit is $25.00 per Adult and $20.00 per Child. Step into the clouds and take a deep breath as you draw in the essence of the Monteverde Cloud Forest Reserve. With a convenient departure from Arenal, our Monteverde Cloud Forest Experience is perfect for those who want to see more of Costa Rica´s beauty beyond the Arenal Volcano! Monteverde Cloud Forest Tour Experience deposit is $50.00 per Adult and $40.00 per Child. 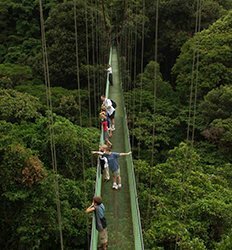 Monteverde Cloud Forest Tour Experience + Canopy deposit is $55.00 per Adult and $45.00 per Child. If you are in La Fortuna, you know how beautiful the Arenal volcano is, but did you know Costa Rica is home to over 5 active volcanoes? Make the most of your trip to Costa Rica with a guided tour to Poás Volcano & La Paz Waterfall Gardens. Do you struggle with a sweet tooth and a bit of a wild side? Let us divulge both of your most powerful senses while combining a bit of Costa Rican culture & adventure on what is arguably the most brilliant combo; the Costa Rica Chocolate & Balsa River Rafting tour in Arenal. Costa Rica chocolate. Yum! It smells so amazing, it tastes so amazing! 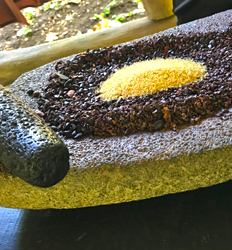 Visit a chocolate farm and learn all things cacao! One of the sweetest things to do in La Fortuna will also teach you a thing or two! This incredible “gift of the gods” has a rich history, and we’ll explore it all. 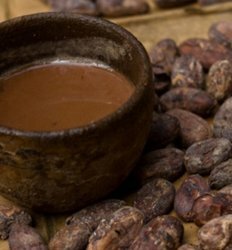 Process cacao pods yourself and even sample some finished product! Rainforest Chocolate Tour Costa Rica Tour deposit is $5.00 per person. This tour departs at . 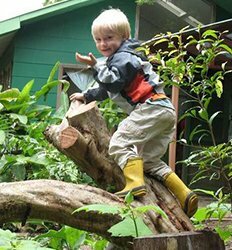 If you're traveling Costa Rica with children in tow, the Children's Rainforest Tour is for you! Treat your budding adventurer to an all-day trip through the primary rain forest, and watch them come alive with excitement as they discover many species of animals and many different types of birds along the way.